These repressive attacks have included multiple invasions of prisoners’ cells, rooms and sections by heavily armed repressive units. Prisoners’ belongings have been searched and confiscated, while multiple prisoners have been transferred from section to section. Prisoners have been beaten by these forces, who have also fired tear gas within the confined space of prison sections, leading to multiple injuries. Thousands of books have been confiscated from the prisoners, while family visits have been banned for many prisoners, especially those associated with the Hamas movement. In addition, devices such as surveillance cameras and alleged mobile-phone jammers have been installed in the prisons, further elevating the level of surveillance faced by the prisoners. Nearly 100 employees at Microsoft have demanded that the US technology company cancel a $480 million hardware contract to supply the US military, the latest example in the last year of tech employees protesting cooperation with the Pentagon on emerging technologies. Some 94 workers signed a petition on Friday calling on the company to stop developing “any and all weapons technologies” for the US Defense Department. Microsoft won a contract in November to supply the US Army with at least 2,500 prototypes of augmented reality headsets, which digitally display contextual information in front of a user’s eyes. Microsoft president Brad Smith said in an October blog post that the company remained committed to assisting the military and would advocate for laws to ensure responsible use of new technologies. Though many US government agencies want to draw upon the expertise of the biggest American tech companies, employee resistance has added a new challenge to already complicated relationships. Worker opposition led Google’s parent company Alphabet Inc last year to announce it would cancel a Pentagon contract in which its artificial intelligence technology is used to analyze drone imagery. In other cases, employee criticism has invited greater public scrutiny to deals, such as $10 billion cloud computing contract yet to be awarded and various contracts with US Immigration and Customs Enforcement. For more than a decade Venezuela has aided the governments of Haiti and the Dominican Republic through a preferential system known as Petrocaribe, which provided subsidized crude oil prices to meet the countries critical energy demands. The Petrocaribe oil agreement, allowed for governments to pay only 60 percent of the oil shipments they purchase from Venezuela. The remaining 40 percent could be financed over 25 years at 1 percent interest, as long as oil prices stayed above $40 per barrel. This allowed for tremendous savings, and money that (according to the agreement) was supposed to be used for socially beneficial purposes. For this reason, the date of January 10, 2019, will go down in the historical memory of the Dominican and Haitian peoples, as an ignominious reminder of the historically aberrant role of the Organization of American States (OAS), when that body was used as a front by neo-conservative policymakers in Washington. It was on that date that the governments of Haiti and the Dominican Republic voted to no longer recognize Venezuela’s legitimately elected president. The people of Hispaniola, on both sides of the island, are waking up. They are coming to understand how the political orders in their countries are being managed by Washington and how local corrupt elites are stealing the solidarity funds sent by Venezuela while failing to meet the needs of the local population. Haitians and Dominicans are organizing protests, meeting at homes and schools to discuss what is happening, learning on social media and through news spread over Whats App and Facebook. Hispaniola’s betrayal of Venezuela will not be taken lightly. The people of Hispaniola know better. They know that it was the U.S., not Venezuela, that twice invaded and occupied the Dominican Republic; they know of the multiple coups and occupations that the U.S. has carried out in Haiti. The Dominican collective memory still bears the deep scars of the over 2,000 Dominicans that perished during the invasion of Santo Domingo by the U. S. marines in April, 1965. (Dominican historians calculate that the actual figure of deaths including civilians & military during the 1965 invasion & occupation, could have been as high as 5,000). Haitians still march annually protesting the 1991 and 2004 Coup d’états, which cost the lives of so many thousands, as many human rights studies verified, such as a paper in the Lancet Medical Journal that found that upward of 8,000 people were killed as a result of the 2004 coup and pro-US paramilitary violence. A decade prior it was estimated that more than 10,000 were killed in the wake of the 1991 coup. We need also to remember how the U.S. supported the ruthless Trujillo and Duvalierist dictatorships. We must not forget the first U. S. invasion & occupation of Haiti and the Dominican Republic, that took place in the early 20thcentury during the Era of Gunboat Diplomacy in the Central-American and Caribbean Basin. It is against this compelling & stark historical background, that we are confronted again with tumultuous events in the region, when the U. S. is once more employing the infamous & wholly discredited OAS, in its theatrical charade to lend an air of “legitimacy” to the recent lopsided vote against Venezuela. While 14 of the CARICOM states, Mexico, Italy, Ireland, Greece, Uruguay, Cuba, Russia, Turkey, China, Iran, India, South Africa, and nearly all of the states in mother Africa continue to recognize the elected government, the U.S. has found support from its rightwing and neoliberal allied governments across Latin America, Europe, and in Israel. Shockingly, the Dominican Republic and Haiti joined with the U.S. in denouncing Bolivarian Venezuela. This eerily reminds some of us old enough to remember, of those similarly turbulent days in the hemisphere during 1962, when an OAS meeting took place in a beach resort known as Punta del Este, Uruguay as Cuba was removed from the body. It was at that OAS meeting, that the legendary Foreign Minister of Cuba Dr. Raul Roa, forever baptized that odious organization as “The Ministry of Yankee Colonies”. Precisely because of these historical realities that transpired in Hispaniola & the region, vis-à-vis the “Colossus of the North”, the popular movements & social organizations of the Dominican Republic have again assumed their vanguard roles as national leaders, mobilizing throughout the country, reminding the people of the historic legacy serving as background to current events, once again building up the people’s collective consciousness, illustrating that these latest events have not happened in a vacuum. Within this context, a broad coalition of popular movements & organizations, scheduled a vigil on February 5, 2019, In Santiago, the heart of the northern Cibao region of the country, comprising 13 key provinces which have played a determining role in this country’s history, going back all the way to its independence in the mid 19thCentury. After the fall of Trujillo & the ascent to power in Dominican Republic of another lackey of U. S. imperialism-President Joaquin Balaguer, whose elections in 1966 were known to have been financed by the U. S. Department of State according to declassified files, over 2,000 Dominican combatants that participated in the Constitutionalist Revolution of 1965, arrived in Venezuela. Afterwards during the re-election of Balaguer in 1971-72, hundreds of Dominicans also migrated to Venezuela. The situation in D. R. then became so untenable for many Dominicans due to Balaguer’s fierce persecution of opponents, it is estimated upwards of 60,000 of them migrated to Venezuela. Eventually, the Dominican diaspora in Venezuela became the largest migration inflow from the insular Caribbean, up to the ascent to power of Chavez, at which time Cubans began to increasingly arrive in Venezuela, composing in part the core of Chavez’s “Mision Barrio Adentro” massive health clinics projects, in the poor neighborhoods of the country. In summary, the brotherly hospitality & solidarity afforded to Dominicans in Venezuela, throughout 20thCentury migratory periods, along with the aforementioned fact of Venezuela’s consistent solidarity with Dominican Republic through the generous Petrocaribe oil agreement, this honorable background stands in stark contrast to D. R.’s “Kiss of Judas” vote at the OAS against Venezuela, on January 10, 2019. This “Kiss of Judas” comes at a time when Bolivarian Venezuela faces a mounting economic war undertaken by the U.S. and its allies, compounded by a huge decline in the international price of oil. With Dominicans aware of their history and learning the truth about the empire’s actions in the region, in the coming months, it appears very likely that the elite consensus in Dominican politics will begin to be shaken, as Danilo Medina faces a crisis of legitimacy. It was Haitians who stood out within our concert of colonized Caribbean nations, as the people which decisively proved in the field of battle, that the very best of Europe could be defeated in war when it finally gained independence from France in 1804. Venezuela’s & Haiti’s history is also intertwined, when in 1816 Petion gave arms, money & men to Bolivar, for the cause of independence of Venezuela, which in turn eventually liberated Colombia, Ecuador, Peru & Bolivia from imperial Spain. More recently, during the second Presidency of Jean-Bertrand Aristide, Venezuela was one of the only countries which kept providing financial support to the Haitian government as it was embargoed and undermined by the George Bush administration. Furthermore, it was Chavez who was the only Latin American leader who forcefully denounced the 2004 coup against Aristide. Afterwards, during the Preval and then the rightwing Martelly & Moise regimes, Venezuela continued its unconditional solidarity with the people of Haiti, through its Petrocaribe agreement, as well as providing financial assistance for infrastructure projects. Venezuela has never required the conditionalities, nor the political alignment, for its aid, as have the supranational agencies and countries of the north. A true friend. Regarding Venezuela & Haiti we must remember, that during Chavez’s tenure & following Haiti’s catastrophic 2010 earthquake, the leader of the Bolivarian Revolution soon thereafter announced Venezuela would “write off” Haiti’s undisclosed oil debts. At an ALBA (Bolivarian Alliance for the Americas) foreign ministers’ meeting after the earthquake, Chavez remarked that “it wasn’t Haiti that had a debt with Venezuela, but just the opposite Venezuela had a debt with that nation.” He also mentioned that an initial donation of $10 million would be disbursed to Haiti for emergency energy needs, along with an additional $100 million “for starters” towards infrastructure projects. Additionally, Chavez mentioned, one part of ALBA assistance to Haiti would consist of fuel distribution via “mobile service stations” to be up and running within a few weeks. The ALBA plan of aid for Haiti also included support for such sectors as agriculture production, food imports and distribution, and immigration amnesty for Haitians living illegally in the bloc’s member-states. At that time also, Cuba and Venezuela sent assistance and aid workers to Haiti within days of the magnitude-7.0 earthquake that left an estimated 150,000-200,000 dead and more than a million people homeless. To illustrate that unique internationalist relationship between Venezuela & Haiti, we must witness the Venezolana de Television report of Chavez’s trip to Haiti in 2007, exemplifying the close emotional bond between these two Caribbean nations, which Chavez in great measure revived as he recuperated its historic memory jogging openly with the peoples of Cite Soleil and Bel Air through the streets of Port-au-Prince. In this report, you will witness the incredible feat of Chavez leaving his vehicle, as he actually joins the joyful masses in Port Au Prince, which are jogging in unison along his motorcade. On the other side of the historical spectrum, when Nixon as Vice President visited Venezuela in 1958 the total opposite occurred at that time. Instead of joyful crowds awaiting Nixon, enraged Venezuelans violently assaulted his limousine, manifesting the people’s rebuke of the U. S.’s close collaboration with the ruthless dictatorship of Perez Jimenez, which had recently ended. As Moïse’s unpopular government has been caught up in corruption scandals and as complaints grow over the worsening economic situation and a lack of government support for the poor, in recent months the USPGN (Moïse’s own personal security forces) took part in a violent massacre targeting an anti-government slum. With Moïse facing mass protests his government increasingly takes its cues from Washington. 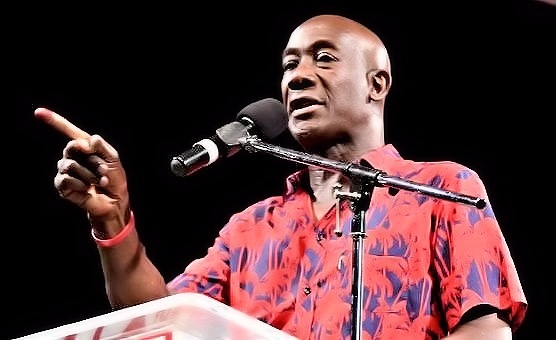 With regards to Jovenel Moïse’s governemnt’s treasonous vote against Venezuela at the OAS, another of its aberrant dimensions was its diametrical position vis-à-vis the Caribbean Community (CARICOM), of which Haiti is a member. 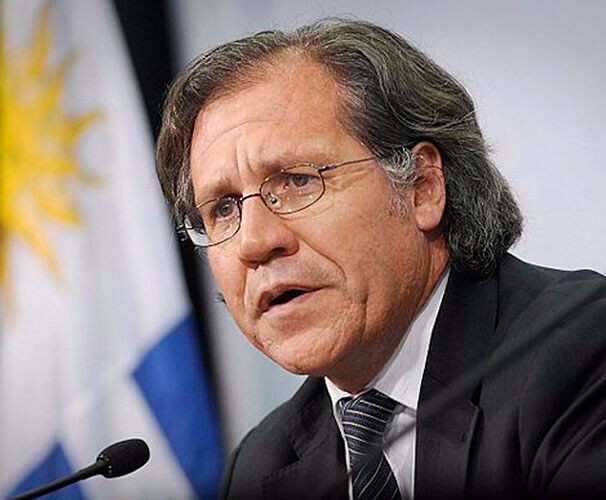 CARICOM’s position has been unequivocal in contravention to the virtually neocolonial position of OAS Secretary Almagro, who by all reasonable standards has become a virtual mouthpiece of Uncle Sam at the “Ministry of Yankee Colonies.” CARICOM on the one hand recognizes the legitimacy of President Maduro of Venezuela, while the OAS secretary general Luis Almagro has recognized the so-called “self-proclaimed” interim President of Venezuela, Juan Guaido. Haiti has long been in the crosshairs of the Empire and its local proxies. In recent years top elites have sought to restructure the county’s economy and political scene. This has come after the U.S. and its allies have essentially neutralized the country’s sovereignty & independence, heavily influencing, installing regimes, or supporting political processes that relied on heavy vote suppression and years of political disenfranchisement (such as in 2016 with one the lowest percentages of voter participation in the world). This is the same unpopular & corrupt regime, which has been the subject of massive nationwide protests against its misuse of Venezuela’s Petrocaribe funds, starting on August, 2018, and which continually burst out throughout the following months & into February, 2019. These protests were practically made invisible by Western mainstream media, even as their brutal repression has been well documented by citizen journalists and local grassroots groups. In spite of the backstabbing vote of the corrupt Dominican and Haitian administration’s against Venezuela at the OAS, the people of Hispaniola’s solidarity with Venezuela has been manifest in many ways. Huge marches backed by many grassroots groups and Aristide’s Fanmi Lavalas party have called for an end to the foreign occupation and new sovereign elections, while a smaller opposition party Pitit Dessalin has planned demonstrations in support of the legitimacy of President Maduro. Already Haitian paramilitary and police forces are being used to brutally attack these demonstrations. Meanwhile, on the other side of Hispaniola, on February 17, 2019, a massive demonstration in support of Venezuela is scheduled to take place, at the Parque Independencia of Santo Domingo, Dominican Republic. Student groups and activist circles across the country are being mobilized and are coming to understand the threat that Trump and his neo-con allies present. In view of all the aforementioned, this writer while not an expert on geopolitics or history, by virtue of the fact of having been born in the Caribbean, & having closely observed its regional history since childhood & comprising many decades, I have reasonably concluded that this recent crisis between Venezuela & the Empire (or the “Colossus of the North”), could perhaps be opening a new threshold in the correlation of forces in the hemisphere, to the point where we could almost start leaning towards the conclusion, that perhaps the United States of America is no longer the absolute master of this hemisphere, say as it was the case prior to the Cuban Revolution of 1959. What we are witnessing now are key nations such as Venezuela deciding to chart a course in favor of thier own people, implementing the re-foundation of the nation-state, while further steering away from the imperial diktat. At the same time, it is obvious that the Empire while commencing its decline, still exerts plenty of hemispheric muscle, as the treacherous OAS vote of Haiti & Dominican Republic has shown, in spite of Venezuela’s committed and honorable solidarity record with these two sister nations. Informing the younger generations about the history of the U.S. empire in the region, about the role of soft power in the media, and what is happening around the region today is vital. Also vital are creating new bonds and working to unify popular sectors to oppose the plans of Washington and their clients, to once again build south-south bonds and regional development from below. A video to make you understand what’s presently going on in France. 12 minutes to understand who are the Yellow Vests, what they are fighting for and if they really are violent.